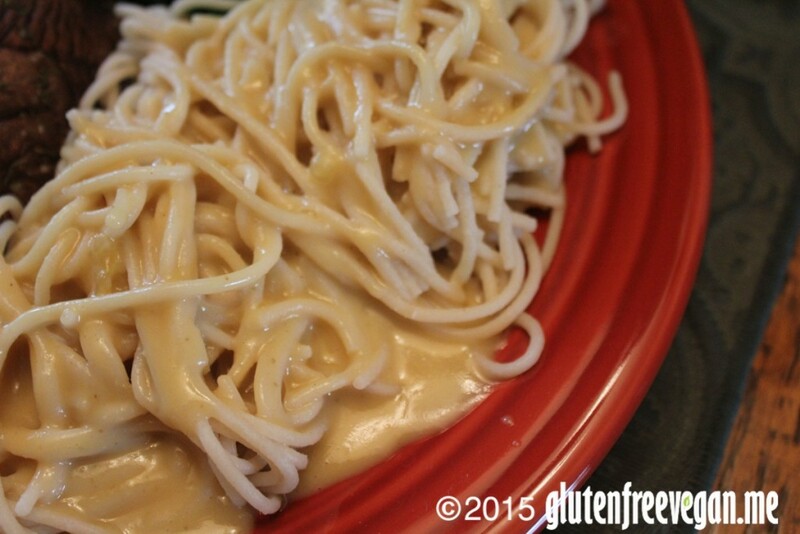 Guilt-Free Vegan Alfredo - Vegans Eat What? Vegans Eat What? 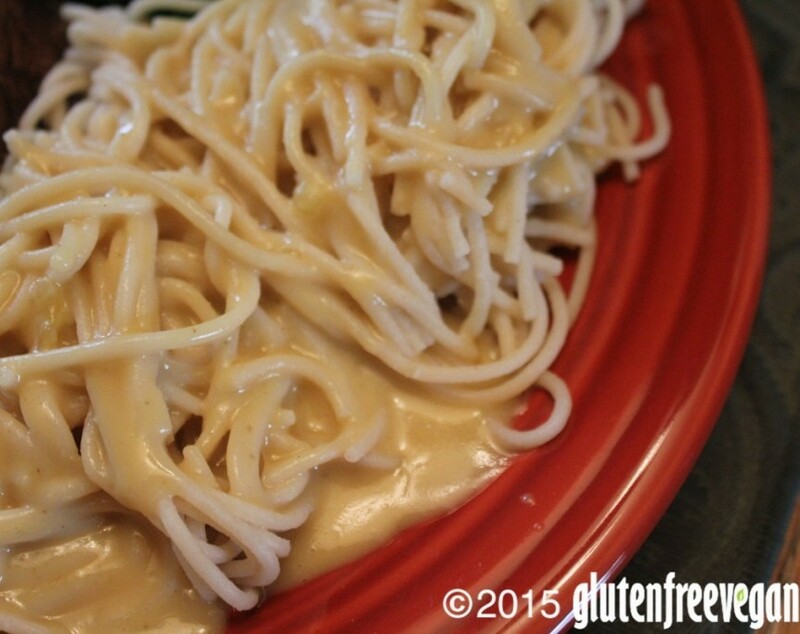 This vegan version of the classic sauce is made with potatoes and plant based milk. It has no fat or dairy but is loaded with taste and makes a perfect topper for your favorite pasta. Put all ingredients into high speed blender and mix until smooth. Transfer to large sauce pan and bring to a boil, stirring constantly. Mixture will thicken. Reduce heat and simmer until ready to serve on your favorite pasta or refrigerate to enjoy later. This recipe makes 10 – 1/2 cup servings.